Since the release of the human genome project over a decade ago, researchers have been digging deeper into mapping the genome. "Blackout zones" refers to areas of the genome that are difficult to map due to repeated regions. Imagine trying to map a neighborhood of identical repeated houses. The repeats continue for miles until a change pops up, like a single red mailbox. 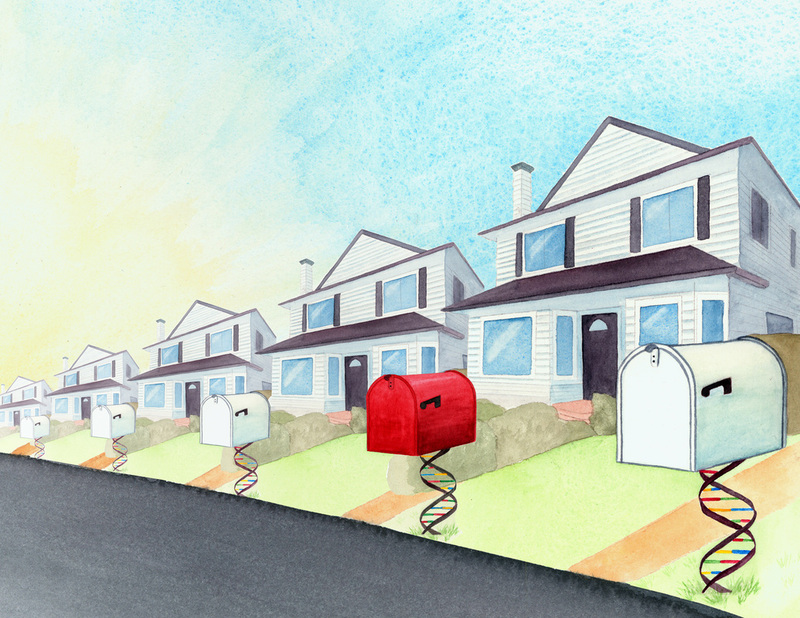 Like this neighborhood, the human genome has vast regions of repeated units, punctuated by an occasional site of variation. As analytic techniques evolve, researchers are beginning to make strides toward mapping these poorly understood regions.